Homeopathy has its origins in ancient history dating back to Hippocrates. This was further developed by a German Doctor called Samuel Hahnemann. Homeopathy has been widely used throughout the world for more than 200 years. Homeopathy is based on the theory that like cures like. The process of devising a homeopathic remedy is based on the theory that the method of dilution and agitation causes a reaction between the ingredient, for example arnica, and the water and alcohol it is diluted in. Although it is diluted many times, homeopaths believe that the homeopathic remedy retains the original ingredient. Homeopathy can be safely used alongside conventional medicines and will not interfere with the action of medicines prescribed by your doctor. Because homeopathic remedies are non-toxic, there are no side effects and they are safe even for pregnant women and babies. Some NHS hospitals use Homeopathy and there are also Homeopathic hospitals funded by the NHS. Homeopathy is idea for those wanting to explore a holistic approach to improving your wellbeing. 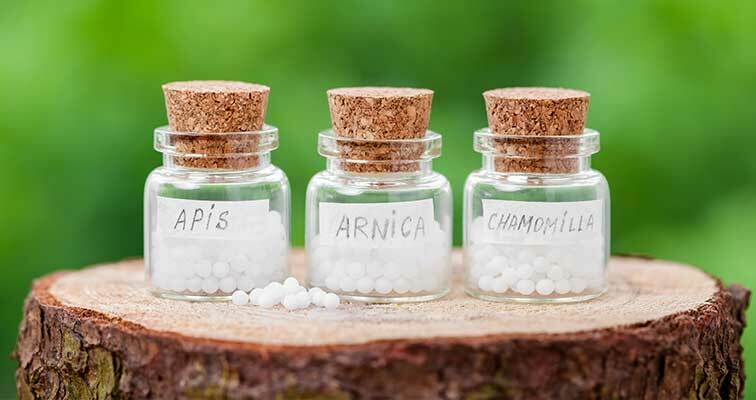 At the first consultation your homeopath will usually spend at least an hour and up to two hours asking detailed questions about your current health, medical history, and lifestyle. Some of the questions may seem strange, but the important thing to remember with homeopathy is that it treats the individual in a holistic way, and so your homeopath is looking to understand how you experience your symptoms and how they effect your life, so that he or she can match you with the most appropriate remedy. A follow up consultation will involve you discussing any changes that have occurred with your homeopath, so that they can understand how you have responded to the remedy and what the next step of your treatment will be according to the changes that happen and the current state of your health. Follow up sessions usually last about an hour and is usually a month after your first visit. If you have any queries or problems in between you can contact your Homeopath for free advice and mobile or Skype consultations are available if you are unable to come to the Centre or if you are contagious. Remedies are included in these fees.